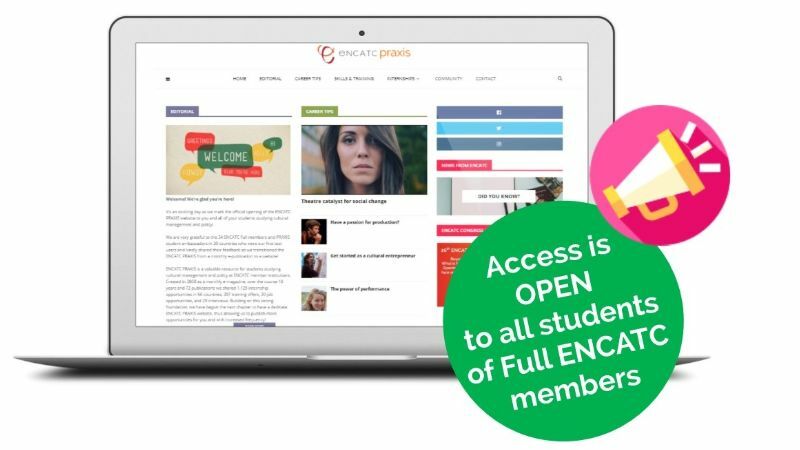 Access is open to the ENCATC PRAXIS website for Full members and your students! Today, 22nd of January 2019, is an exciting day as it's the official opening of the ENCATC PRAXIS website to Full members and your students studying cultural management and policy! Created in 2008 as a monthly e-magazine, over the course 10 years and 72 publications we shared 1,129 internship opportunities in 66 countries, 307 training offers, 30 job opportunities, and 29 interviews. Building on this strong foundation, today 22/01/2019, we start the next chapter to have a dedicated ENCATC PRAXIS website. 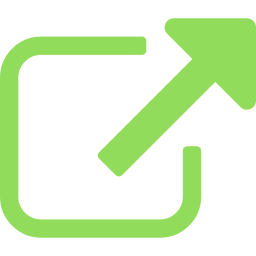 This online tool will allow your students to have direct access to the internship offers and for us to increase the frequency of our posting and their presentations. What will you find in your new online space? Starting now from January 2019, users will find weekly updates for internship and training opportunities and a monthly editorial on important topics (mobility, employment, youth issues...). As in the past, we will also publish articles and interviews. In 2019, to allow your students to follow the EU policy debate in the frame of the 2019 elections for the European Parliament, each month ENCATC will publish an article and or an interview from cultural leaders and policy makers. Finally, the website will also have news about ENCATC resources and how students can participate in our activities. As you know, a call for ambassadors was launched in April 2018 and as a result, we are very grateful to the 35 ENCATC Full members and PRAXIS student ambassadors in 20 countries who were our first test users and kindly shared their feedback to improve our first pilot! To access the PRAXIS website, users need to register here. Your personal data collected from the ENCATC website will be kept for 5 years according to our GDPR procedures for data management. Finally, I love that the PRAXIS is continuing as a project done by students for students. Carried out by trainees in our office in Brussels under the training of our Communication Department, this is an excellent learning experience combining research, synthesizing, and digital skills to curate and prepare content, conduct interviews, help run the website, and more! I hope you and your students enjoy using this valuable tool and I look forward to hearing about the new stories, pathways and connections that will be created thanks to ENCATC's PRAXIS and the useful information it provides! Still didn't click to register your access? Let's get you connected! Starting in April 2018, ENCATC reached out to Full members asking them to nominate a PRAXIS Student Ambassador. Student Ambassadors are our “young champions” within ENCATC membership organisations. They are committed to helping ENCATC's information reach other students and encourage their peers to participate in ENCATC events like the Capacity Building Days and Youth in Action Day. Are you a Full member and don’t see your institution on this list below? It’s not too late to nominate your PRAXIS Student Ambassador! Please write to trainee@encatc.org for further instructions. ENCATC is the European network on cultural management and policy. It is an independent membership organisation gathering over 100 higher education institutions and cultural organisations in over 40 countries. ENCATC was founded in 1992 to represent, advocate and promote cultural management and cultural policy education, professionalise the cultural sector and make it sustainable, and to create a platform of discussion and exchange at the European and international level. ENCATC is co-funded the Creative Europe programme of the European Union.